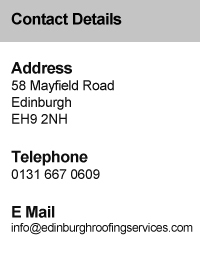 Edinburgh Roofing Services are an authorised RubberBond™ roofing contractor & are specialists in all aspects of single ply roof systems. The Rubberbond™ Fleeceback™ EPDM roofing system is one of the toughest materials known for resistance to weather and sun. Repels all moisture, snow and rain. Is flexible and easily bends with no stress, to follow the contours of the roof, upstands to walls, check curb edges, skylights, pipes, terminations into gutters and the like. Can stretch with up to 300% elongation, which easily accommodates building movement. Is not affected by extremes of temperature. Will not tear, split or crack with age. Is manufactured in large sheet sizes from 3.05 to metres wide and up to 30.5 metres long. Storm damage such as falling roof tiles, trees, etc. Roofing damage caused by lightning, fire, hurricanes or earthquake. Any claims under the guarantee that are found not to be the RubberBond™ EPDM membrane or the labour relating to it are chargeable as an inspection fee. The Rubberbond EPDM flat roofing guarantee is valid when signed by the contractor and full payment has been received. 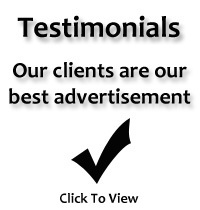 For further information and advice on all of our single ply roof services, please contact us.